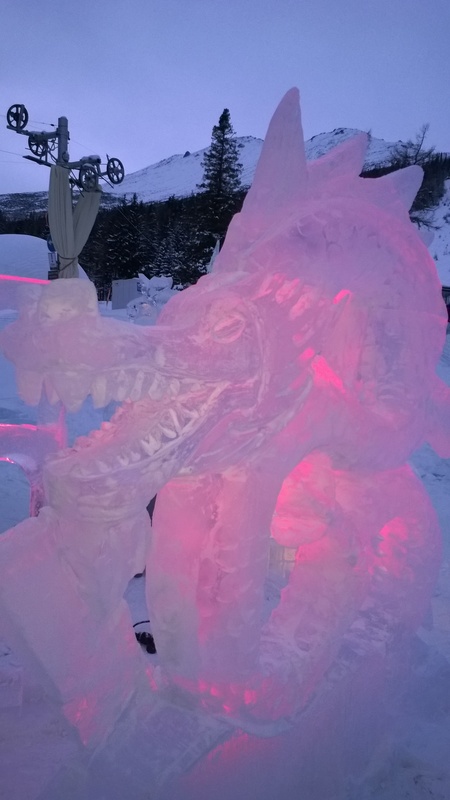 Whenever I get the opportunity to choose the ice sculpture that we should make, I tend to end up with a dragon. This one was done in Tatry, which was a really fun and great competition to be with. We actually won the audience award with this 2mx2m high ice sculpture!